Lovejoy does it again! 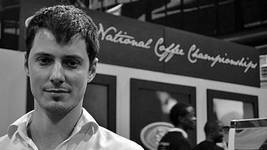 After winning the 2013 National Barista Championship, and following that with a clean sweep at the AFCA 2013 barista competition. Lovejoy is pushing forward with his training for the 2013 World Barista Championship. 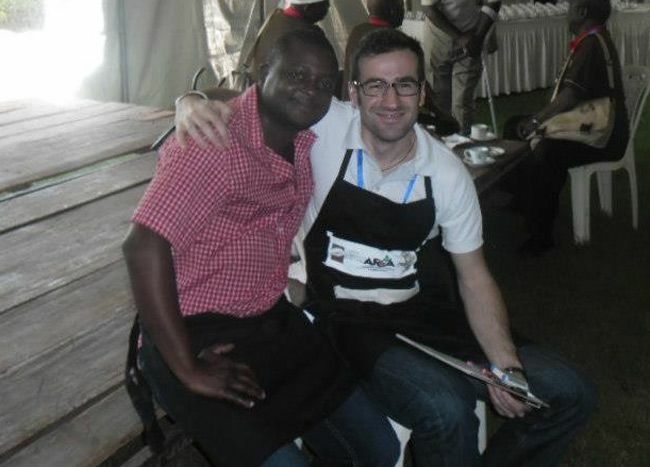 We catch up with him to find out what it was like competing at an the African Barista Championship. Wayne: So how was the trip? Lovejoy: It was a really good experience. When you look at Uganda, it's facing its own challenges as a country and it really felt like you were in a real African country. It's still trying to get up on its own feet. It was great to meet a different group of people, with their own cultural beliefs, but still showing a great passion and thirst for coffee excellence. Were you able to get to any farms? Unfortunately there was a farm visit scheduled, but it was on the day I had to fly back to South Africa. They had booked it later in the day, and we were concerned that we wouldn't get to the airport on time. I really would have loved to visit the farms. How was the competition itself? You were up against five other nations, including Kenya who has had a placement in the Top 20 of the WBC in the past. There is still a lot of work to be done by guys from other African countries, however both the Ugandan champ and the Kenyan champ were very impressive. The Ugandan champ really surprised me, as his knowledge of the coffee was incredible. 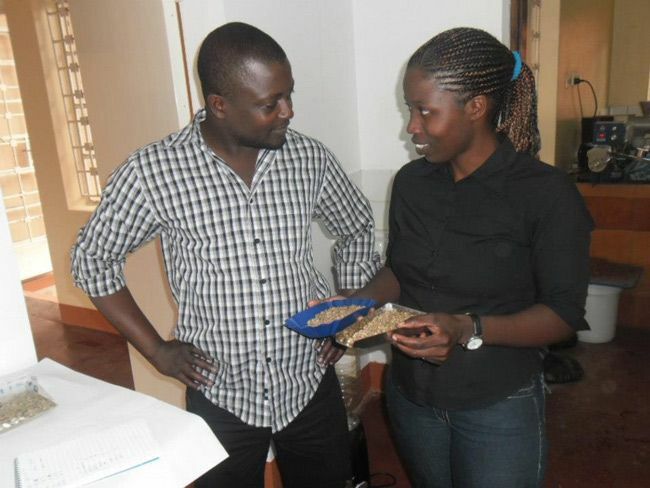 He has work extensively on the farms, roasting and producing coffee as he works with the Ugandan coffee board. That being said, the competition here in South Africa amongst the roasters and baristas is very high in comparison. This is Dailess Nalwamba, she was the Ugandan barista champ in 2012. When in Uganda...you make a plan. 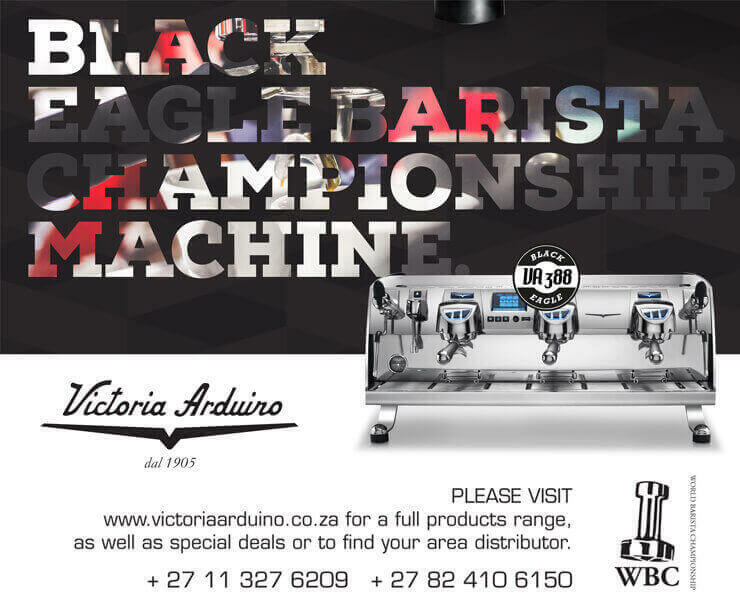 So having experienced competitions here in South Africa and now at a big event like the AFCA Barista Championship, how would you rate the organization levels here in South Africa? 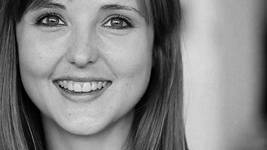 The way things are being organized here in South Africa, it is done in a much better style and fashion. For example, there was very few people helping us, telling us where to go etc. We had power issues, a storm during the competition, a leaking tent ( the event was held under a tent ), there was a team hired to handle the sound, however they didn't fully understand what was needed by the baristas during their set. Their music for instance didn't play. We had espresso machines that were leaking. It was an event filled with suspense. 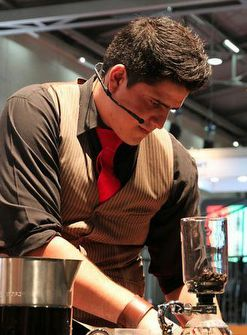 Enrique from La Marzocco - A WBC technical judge, he also worked on the design of the Stainless Steele handles all future LM machines now use. How was it to have a storm in the background as your "music" for your set? *nervous laughter* it was an interesting situation. I had to just focus on my set and inspire myself without the music. The guys providing us the audio system did start my music, but then changed it half way... Maybe they thought it was like a disco? 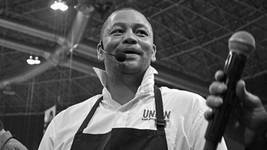 What was your overall impression of the competition? All in all, it was a fantastic experience. I couldn't be more humbled and privileged to have been given this opportunity. Even through all the issues, it really was great to meet all the fantastic people along the way. Tell us a bit about your set? Was it a new set? Or the same as the South African Nationals? Well yes it changed slightly as I used a different coffee. Both of which were from Kenya. But all the same it worked out very well. After the competition, everyone wanted the coffee that was left over. What lessons have you learnt, and what are you going to try and bring to the worlds? Well I believe that when I went to the African Barista champs, I didn't get enough time to prepare as much as I would have liked to, that will have to change for the Worlds. However I feel that because of the extremely high standards of the competition here in South Africa, I was prepared to pull off a good set, and I am really looking forward, even more now, to get over to Melbourne and perform to the best of my abilities. So any funny stories? 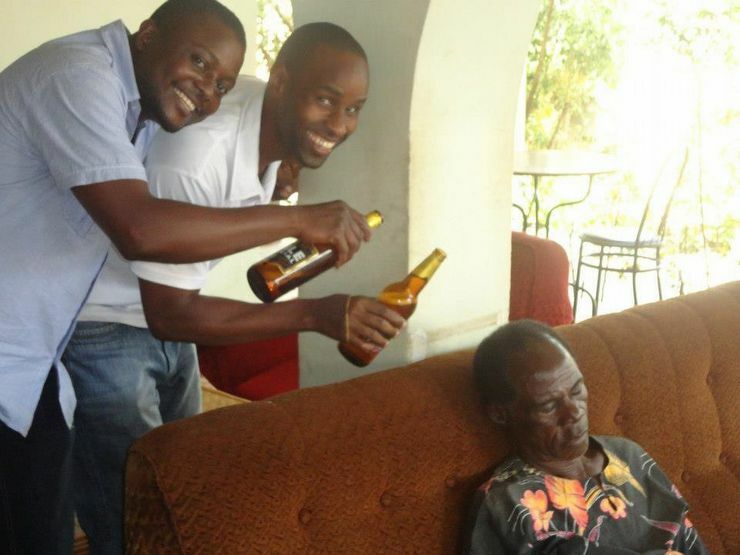 Maybe explain the photo of the old man sleeping on the couch, who you tried to serve beer to? Ha ha ha well yeah it was funny because it was all over the place. It was strange to see in Uganda, especially coming from South Africa and being in an industry that's all about service, where people just do as they please there. 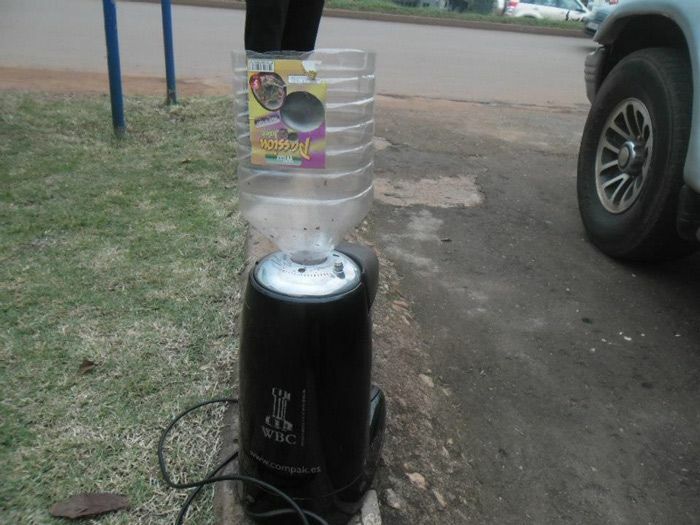 In Uganda you can't even ask for a glass of water, you must put your hand in your pocket and buy a bottle. There are no gimmies. When you go out to eat here in South Africa, you order and get what you want.... There however I ordered scrambled eggs and they came and they were all white... And looked like pop corn. I also got to experience the local coffee rituals of Uganda, as well at the show I got experience the proper Ethiopian coffee ceremony. It was one of the highlights of the trip for me. All in all it was a fantastic experience, I cannot wait to learn more.